HomeAll Posts...What Happens When Your Receptionist Calls in Sick? Customer service is an important part of any business in today’s cutthroat market with many competitors competing for the same business. You will need a talented and skilled person to handle your incoming phone calls and keep your diary up to date. But imagine if your receptionist calls in sick one day. The consequences of this are enormous because you or a member of your team is the one who must deal with all calls throughout the day. As a result, they will have to leave their work to tend to a call, which will affect your overall productivity. Not to mention the fact that your diary will be completely thrown into disarray. As your employees get overworked and overburdened, the stress builds up and the discontent makes its way to reduced service for your clients. Your clients will notice that a disgruntled person is answering their queries on the other line, and that will be enough to put them off. Remember, you want a cheerful person to answer phone calls otherwise you’re better off sending them to voice mail! This is where virtual receptionists come to the rescue. As your receptionist calls in sick, your virtual receptionist seamlessly picks up the pieces left behind. Your diary is kept up to date while calls from clients are handled with finesse. In other words, your business does not suffer. The virtual receptionist gives your staff a breather and prevents them from getting overwhelmed. This allows them to focus on more important tasks that matter to your business. One strong point that goes in favour of virtual receptionists is the fact that their efficiency is unparalleled. These receptionists are trained to handle client phone calls. 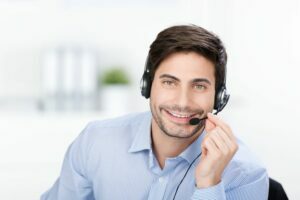 When someone calls your business to inquire for a specific product or service, the first thing they will notice is the friendliness of the person on the other line. The virtual receptionist helps your customers feel appreciated as their queries are answered. If the receptionist doesn’t know of a specific query, they will advise that a specialist will call them back once they are available. It is true that a virtual receptionist will help you minimise the everyday costs of doing business. Consider the cost of your receptionist who just called in sick, not only do you have to cover the cost of their absence, you might also have to pay them paid sick leave. In some cases, you might be forced to pay their medical bills out of your own pocket. Click here to enlist the help of our expert UK based virtual receptionist and take your business to the next level.